This custom Spanish villa, complete with extensive covered loggias, terraces, and gardens, takes advantage of its picturesque setting along twelve private acres overlooking the Chattahoochee River. 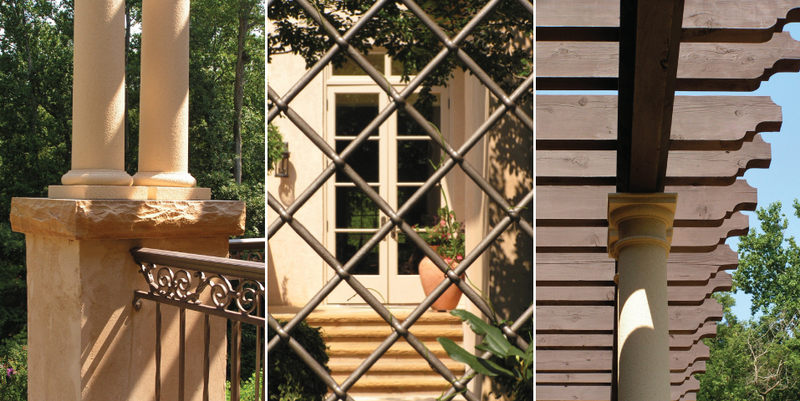 We designed a high-end home encompassing authenticity, durability and savvy technology. 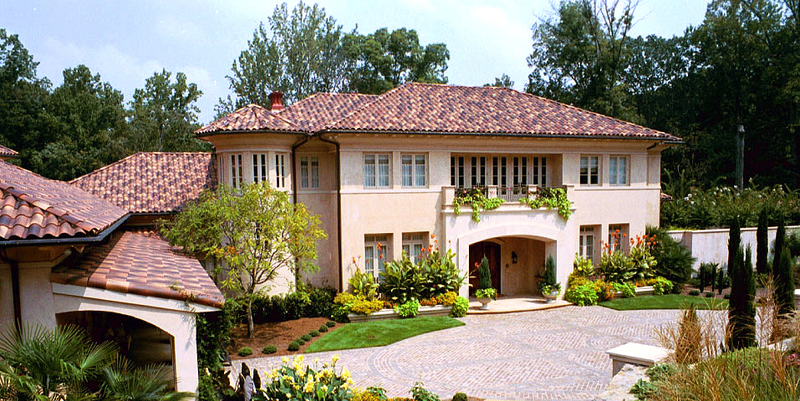 Modern Mediterranean vernacular architecture features include European-style openings using custom mahogany casement doors and windows. 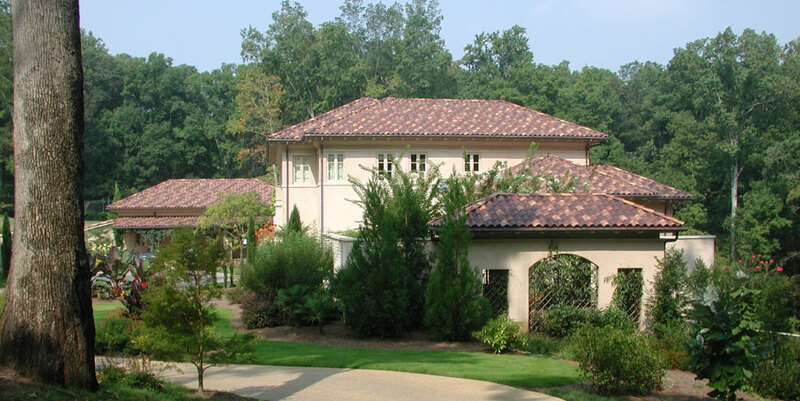 We used advanced masonry stucco, Colombian clay roof tiles, heavy timber beams, local crab orchard stone, custom ironwork, and custom-patterned terrazzo floors for a true alliance of durability and genuineness. Sustainable design practices include constructing state-of-the-art exterior walls of autoclaved, aerated concrete- a European material made from recycled fly ash that is insect, fire, moisture, thermal, and allergen resistant. We sited this elegant custom home on the property’s cardinal points for optimal natural daylight and preserved landmark trees and native landscape.